I am Gilbert Ryle Fellow and Professor of Philosophy at Hertford College, Oxford University. For my main website there, please see Philosophy@Hertford, and for my work as PPE Coordinator, see PPE at Hertford College. The main focus of my research in recent years has been on philosophical issues arising from the work of David Hume, the greatest figure of the Scottish Enlightenment. From 2005 until 2010, I was Co-Editor of the journal Hume Studies. The website davidhume.org is a long-running project – joint with my doctoral student Henry Merivale – to make Hume's work accessible in authoritative electronic editions, together with high quality secondary material. Click here for links to my own publications on Hume, and also recordings of some public events. During 2010-11, I spent a fair amount of time at the Institute for Advanced Studies in the Humanities at Edinburgh University, as their Illumni David Hume Fellow. Research undertaken there resulted in several papers and gave impetus to two book projects, one entitled Hume's Chief Argument and the other Hume, Miracles, and the Supernatural (both for Oxford University Press). Another Edinburgh project – now up and running on www.davidhume.org – was an electronic edition of Hume's Dialogues Concerning Natural Religion, presenting the original manuscript to the world for the first time (thanks to the good offices of the Royal Society of Edinburgh and the National Library of Scotland). Initially almost by accident, computer programming has played a large part in my life, and I have come to appreciate its creative pleasures and its value for exploring novel ideas. The website PhiloComp.net brings together a wide range of resources relevant to the links between Philosophy and Computing, with the aim of promoting this vision, especially in education. Recently, these developments led to the approval of a new degree programme at Oxford University, in Computer Science and Philosophy, which admitted its first eight students – four of them at Hertford College – in 2012 (appropriately enough, the hundredth anniversary year of Alan Turing's birth). This is the first new Philosophy degree programme at Oxford for 39 years. 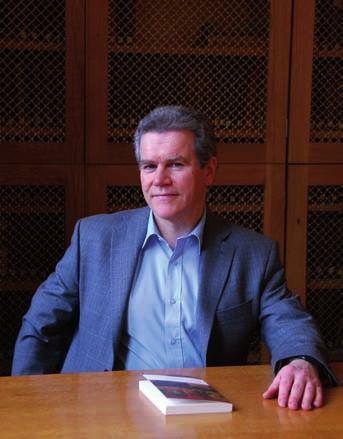 An interview with Nigel Warburton can be found on the Philosophy Bites website or by clicking here: The Significance of David Hume. Another page on this website gives links to some other appearances in the public and online media, including Radio 4's In Our Time, formal debates, and other controversial discussions.